AAU hoop stars get something special from UA. 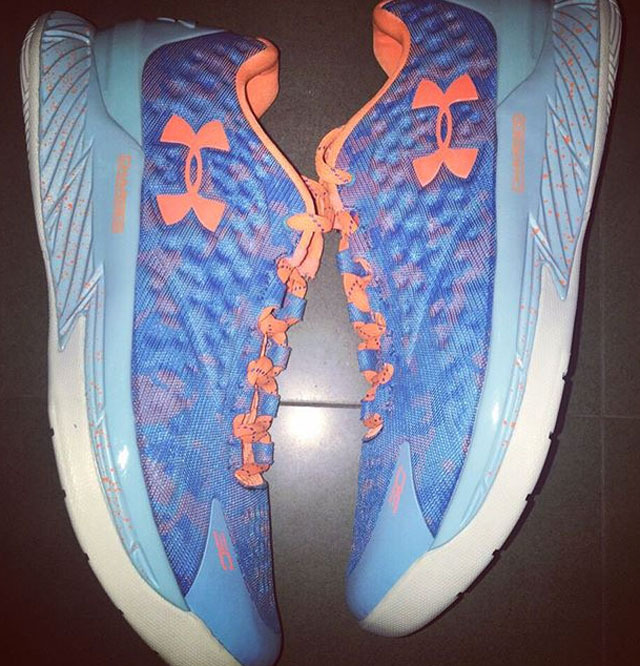 Once again, Under Armour is celebrating its summer AAU hoops showcase with special sneakers. 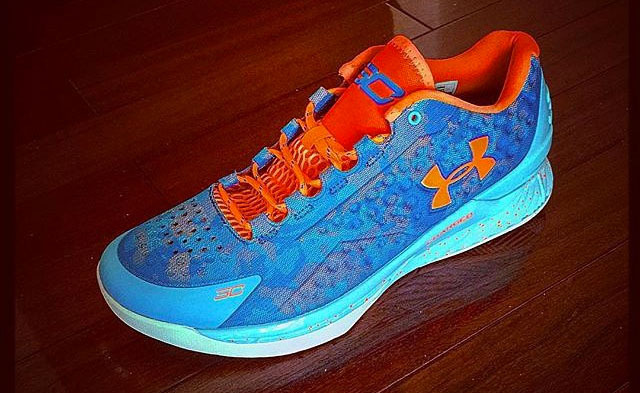 Here's a first look at the "Elite 24" Under Armour Curry One Low, sporting what appears to be a blue and orange camo pattern, depending on which photo is more accurate. Light blue runs from the toe cap to the heel counter, while a white rubber outsole completes the look. Though a sneaker release date has not been announced, Elite 24 sneakers occasionally make it to retail, so there's a chance you'll be able to buy this pair — stand by for updates.